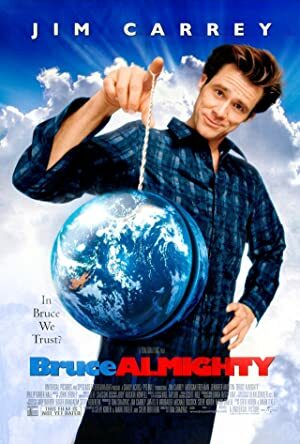 Bruce Almighty (2003) – What's New on Netflix Canada Today! Bruce Nolan, a television reporter in Buffalo, N.Y., is discontented with almost everything in life despite his popularity and the love of his girlfriend Grace . At the end of the worst day of his life, Bruce angrily ridicules and rages against God and God responds. God appears in human form and, endowing Bruce with divine powers, challenges Bruce to take on the big job to see if he can do it any better. When TV reporter Bruce Nolan angrily ridicules God, the Almighty responds by giving Bruce all His divine powers. But can Bruce improve on perfection?